Design Award (VIQC) Does not qualify for any events. STEM Research Project Award (VIQC) Does not qualify for any events. Judges Award (VIQC) Does not qualify for any events. Parking is available in any of the school's parking lots. Parking on the street (across from the school) is restricted to residential parking. If a parking space within the school lot is not available, please use street parking away from the school. You can drop off your robot at the competition entrance and re-park at any of the Staff Lot(s). Do not park along the residential street. You will be ticketed and then towed. Please look for the VEX Robotics Event signs for the competition entrance. Please arrive early to avoid disappointment. There are many restaurants near the school. Teams and spectators are encouraged to explore these dining options before arriving at the event venue. No Refund will be offered. If the event is cancelled by the Event Partner, an 'In-Store' credit will be issued to the registered team(s) to be used in any of the competition events for the rest of this competition season. Please make sure everyone in your group have filled in the above consent form. "Student team member accepts these inspection results and agrees that this robot was designed, built, and programmed by students, with little assistance from the adult mentor(s)." VEX-IQ Inspection Check List. If adult interference is confirmed by Judges/Inspectors/Event Partner, the team will be disqualified from any awards. Step 1:Register your team with the head office to get an official team number/name (RobotEvent.com). Step 2: Register for each individual event your team wishes to compete in. Step 3: Know the dates and times of each event in your area. Step 4: Prepare for Field Trip Permission forms designated by your school district, as well as those required by VEX: Participant Consent Form. Step 5: Prepare a transportation plan for each event. Step 6: Prepare an accommodation plan for each away event. Step 7: Prepare for additional supervision as outlined by your school districts field trip policies. Inspection Area (each robot has to be inspected: VEX IQ Challenge Inspection Checklist). Your should: Know the Game. 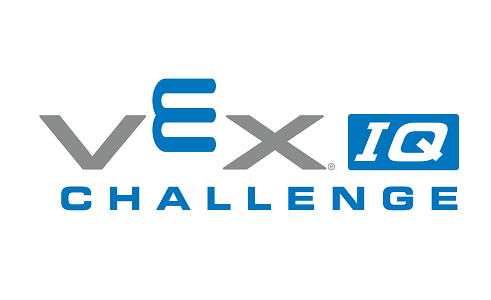 Your should: Read the game Documentations: VEX IQ Game Manual. Consider: Experiment with your Robot. Consider: Attend a Scrimmage/Practice Match. Consider: Get Advice and Feedback from the judges, referees, and your team coach(s). Consider: Rebuild (if necessary) and Improve your robot. Consider: Signing up for a workshop course if you are new to Robotics. Read through your registration package. Fill out and return any forms and related information. Read through your schedule and highlight your qualification match time slots. Prepare your robot for inspection. Go through the inspection/Judging process. Watch the time for your matches. Look around and see other robots. Compete in the Skills Challenges when you have time. Review with your team the success(s) and non-success(s) of your teams performance. Decide on a course of action for improvements. Sign up for additional competitions and events. Check the VEX forum for additional hints and suggestions. Begin applying for international travel with your school district. Starting fund raising if necessary. Make sure your team registers for the international tournament. Begin to make travel and accommodation arrangements. Arrange for additional supervisors (if necessary).